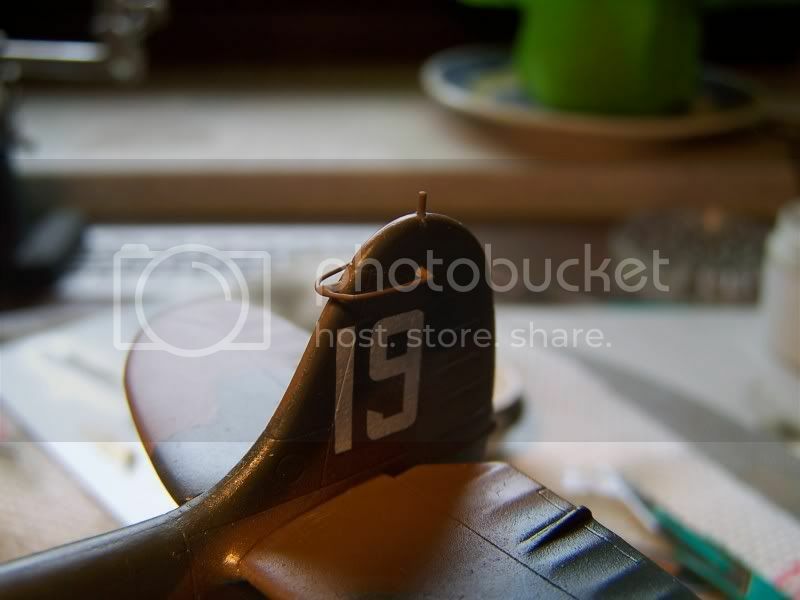 Two weeks ago I've begin to build an early Spitfire Mk.I from 19 Sqn. 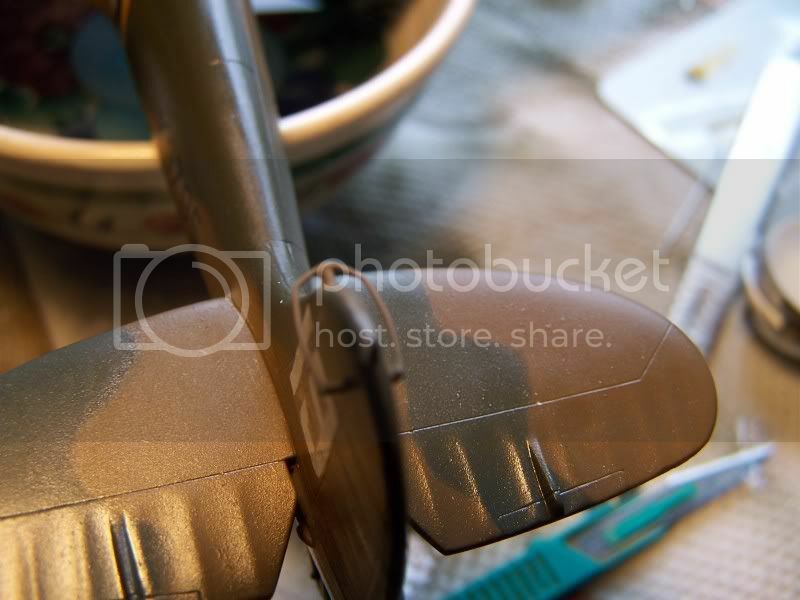 This is an Airfix 1/48 model. The plane I would to build - K9795 - is quite good known. I've met a problem with the device mounted on a top of the tail (red ring on the photo). I know that this construction was made to prevent fin contact with anti-spin parachute, but I have no idea how it was looking like. I can't find any better picture or drawing showing this thing. Could anyone help with better picture or drawing ? I don't think you will be able to see very much.Device looks like two prongs with a cross piece or perhaps a loop joining them. I try for a better scan. It seems the Mk III also had this device fittted (last photo). 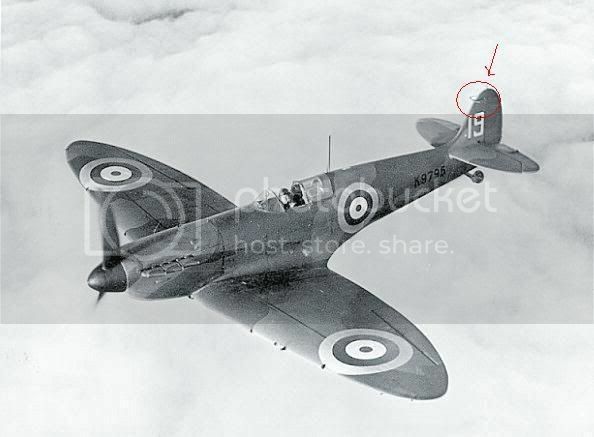 This pic is from 'Supermarine Spitfire part 1' from SAM publications. The item is a rudder horn balance guard. Thanks a lot - you are GREAT ! I couldn't expect better pictures. I'm sure I can do something with it and after finishing I will show you the result. Perhaps all that is necessary is the enlarged version of the same image. Hope this helps. That's what I was able to produce owing to your suggestions. I hope it looks at least a little bit like the original one. I'm going to finish her soon and show her in the Modelling part of the Site.